Can You Eat Chicory Raw? Find creative ways to serve Brussels sprouts as an appetizer. Looking like tiny cabbage heads, Brussels sprouts have traditionally been served boiled as a side dish. This member of the brassica family --- which includes collard greens, kale and broccoli --- is rich in protein, fiber, vitamins, minerals and antioxidants. 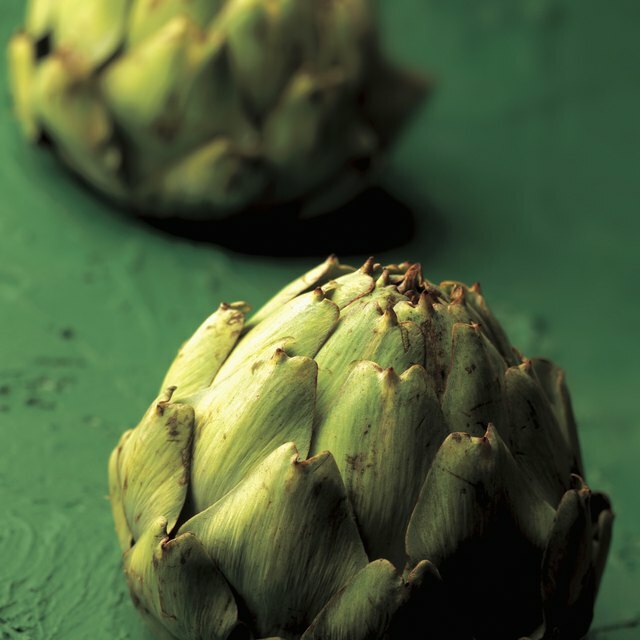 With these health benefits in mind, many chefs are devising clever, delicious ways to serve this vegetable, particularly as an appetizer. One of the quickest, easiest ways to create an appetizer from Brussels sprouts is to use the vegetable in a salad. Finely chopped, raw Brussels sprouts can substitute for cabbage in any salad or slaw recipe, adding a powerful, spicy flavor. Brussels sprouts work well when combined with nuts, such as hazelnuts and almonds. A savory vinaigrette and grated Parmesan cheese are also excellent accompaniments that will enhance the Brussels sprouts' flavor. 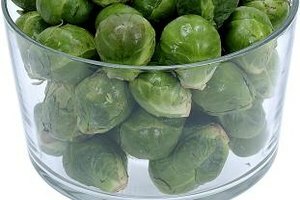 An added benefit of using Brussels sprouts in a salad is that, unlike lettuces, Brussels sprouts won't wilt if not served immediately, so preparation of a salad can take place well ahead of the meal. Boiled Brussels sprouts have long been a staple on American dinner tables. But sauteing Brussels sprouts in a pan can really bring out the flavor, especially when sauteed in olive oil with onions, garlic or shallots. Serve sauteed Brussels sprouts in a warm salad. Or wrap sauteed Brussels sprouts in filo pastry -- alongside bacon, nuts and cheeses -- and bake to create a savory appetizer. Roasting or grilling Brussels sprouts lends a delicious carmelization to appetizers. Simply trim off the leathery, outer leaves and toss the whole sprouts with olive oil and your favorite herbs and spices. Roast the sprouts in the oven until tender on the inside and crisp on the outside. Make a quick, easy appetizer by wrapping the roasted whole sprout in a strip of prosciutto and holding it in place with a toothpick. Skewer Brussels sprouts, along with other vegetables such as mushrooms and onions, and grill on the barbecue. Either grilled or roasted, Brussels sprouts cooked in this manner can be served at room temperature. Make them ahead of time and refrigerate until you're ready to serve. If you're looking for a creative way to serve Brussels sprouts, roast the leaves to create Brussels sprout chips. Preparation is as simple as the results are delicious. Simply remove the leaves from Brussels sprouts and toss them in a mixture of salt, pepper, fresh lemon juice and olive oil. Then roast the leaves in the oven for about 20 to 30 minutes, until the outsides become crispy and golden brown. Top with lemon zest and grated Parmesan cheese, and serve hot. Or place them next to a bowl of creamy ranch dip to appeal to kids and adults alike.